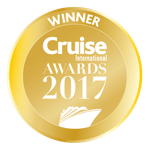 Azamara Club Cruises continue to sail to magnificent destinations around the world while bringing its guests closer to the action. The possibilities are truly endless onboard a luxury Azamara cruise holiday – and in 2018 they are set to become even bigger and better than ever. 2018 will be a year for celebrations and onboard Luxury Azamara cruises you can now experience some of the world’s most spectacular events taking place from the shores of the French Riviera, all the way to the golden coasts of Australia. Embark on a Luxury voyage to some of the most incredible destinations across the globe. Cheer for your country at the World Cup in Russia. Gaze in amazement at fireworks from your vessel in Sydney Harbour. Capture the thrill of the Grand Prix in Monaco, or the take in the passion and suspense at the captivating Golf Open Championships. It will certainly be a year filled with great sporting events and culturally inspired, authentic travel. Who says you can’t have it all? Visit the Royal Principality of Monaco and soak up the action at the grand Monaco F1 Grand Prix onboard a Luxury Azamara cruise. The illustrious racing event on the sunny French Riviera remains the crown jewel of the world motor racing calendar. Its glitz and glamour, stunning backdrops, renowned history and revered principality make it Formula One’s most glamorous race day. Watch the world’s greatest formula one racers take to the wheel in the in the eagerly contested grand prix where skill, speed and risks are taken by every driver in the pursuit of success to be crowned champion on the grand podium. The thrilling action on the track is matched by the exciting party atmosphere taking place around it, be part of a historic sporting moment with Azamara Cruises. No other sporting event captures the imagination of the world quite like the prestigious FIFA World Cup™. The 2018 World Cup is the 21st FIFA World Cup and will be the first ever to be hosted in Russia. The tournament will feature 32 of the world’s best footballing nations from the world’s seven continents who will battle it out on the pitch to become World Cup champions. Experience all of the thrills, excitement, heartbreak, celebrations and unforgettable World Cup atmosphere for yourself. Azamara Cruises present you the chance to watch the biggest sporting competition in the world live from St Petersburg with match day tickets included as part of Azamara’s Luxury 2018 World Cup Cruise Voyages. Immerse yourself in local cultures and magical destinations. Visit ancient temples, uncover architectural marvels and take in the exotic sights and sounds that will greet you at every port. While winter turns to spring, you’ll uncover the legends and myths of the world on an unforgettable cruise journey. Azamara presents the first ever world journey combining everywhere you’ve ever wanted to go in one unforgettable cruise package. It’s time to experience far off shores and pristine sunsets from half the world away. You’ll discover the delights of Australia, Asia, The Emirates, Egypt and the Mediterranean before arriving in the heart of London in the famous Tower Bridge in spectacular style. The stunning port of Sydney, Australia will be your send-off ahead of an extraordinary 102 day cruise that will encompass 29 countries – 61 ports of call – 18 Late Nights – 14 Overnights Onboard & 8 Azamazing EveningsSM Before sailing up the world famous River Thames and disembarking in spectacular style beneath the legendary Tower Bridge. Experience the surreal feeling of teeing off at some of the world’s most memorable courses where golfing legends once stood before you. Azamara Club Cruises offer you the chance to discover the fascinating sights and sounds of the British Isles, The Baltic Sea and Iberian Coast of Spain and Portugal on Azamara Golf Cruises. Professional staff from PerryGolf™ will be available onboard to oversee all aspects of your golf experience. All Golfing needs will be cared for from daily pairings to caddie arrangements and the handling of your golf clubs which will be a waiting at each club before your arrival from the ship. Whether you’re golfing as a couple or hoping to make new friends, if you have a passion for golf then this is the perfect package for you. Don’t miss these exclusive golf voyages brought to you by Azamara Club Cruises and PerryGolf™ the leader in luxury golf vacations. Azamara have an extra special surprise in store for guests sailing on Azamara Quest for Christmas and New Year. For the first time ever, you can spend two overnights on board in Sydney over the New Year. Don’t worry about tip-toeing to catch a glimpse of the amazing display as you’ll get a front row seat onboard your Azamara vessel, where you can watch the best New Year’s Eve celebrations in the world in luxury surroundings. Prepare to be thrilled with exciting Pre-show entertainment featuring the traditional ‘Welcome to Country’ ceremony performed by the native Aboriginal and Torres Strait inhabitants of Australia, who reflect their unique heritage and cultural practises though captivating performances. Expect many more pre-show surprises as the build-up to the finale gathers pace. Sydney Harbour will become illuminated with a dazzling foray of colours when the clock strikes midnight. The spectacular firework display also features a huge range of pyrotechnics from the Sydney Opera House, Sydney Harbour Bridge and from ships lined up along the water. The stunning display is truly global spectacle framed by the glittering cityscape and perfectly reflected by the vibrant harbour, there’s no New Year’s Eve celebration quite like Sydney.